Welcome to a new series–Monday Musings! For a while now, I’ve wanted to write reviews for books that I read before I started posting wrap-ups, or I’ve had topics that I wanted to talk about that maybe weren’t all that current. Just because it’s pre-2019 doesn’t mean we shouldn’t be reviewing or talking about it! These will mostly be reviews for books I read pre-end of 2017, or they will be posts about characters who aren’t “relevant” anymore (like below), or perhaps just whatever the heck I want. I’ve been feeling like there isn’t enough content on this blog currently, and I’d like to change that, so let’s get started! Oh man, that title is loaded, so let’s get this out of the way: this is a positive post BECAUSE Y’ALL MY LOVE FOR CLARY AND ALINA KNOWS NO BOUNDS. These two badass women have been on my mind a lot lately. I read King of Scars a few days after it came out, and I’ve been doing a The Mortal Instruments reread for the last year. This post will not contain spoilers for King of Scars, but if you’ve read it, you know why I’ve been thinking about Alina. And it’s not that I’ve recently seen hate for either of these characters, it’s that there’s always hate for these characters. No one seems to like Clary or Alina, and that bums me out because they’re fricking awesome. LOOK AT HOW FIERCE SHE IS! Okay, but why? Let me bullet point this for you. when she sees a mysterious boy heading for a back room in a club with a sword, what does she do? Run after him to stop him. OH MY GOD HER EMOTIONS. Clary doesn’t care who is watching, if she’s feeling an emotion, she’s gonna damn well feel it. Look, I know Clary has some faults. Everyone does. She’s human. But she’s also freaking awesome, and I’m sick of people hating on her. Don’t like her? It’s probably because she’s cooler than you. This is just so indicative of her character with that hand like pfft get away from me. Ain’t nobody got nothin’ on my girl, the Sun Summoner. Time for more bullet points! literally suppressed her magic so that she could stay with Mal at the orphanage. like, what kind of strength is that??? I feel like that last bullet point for each of these is part of the reason I love these two characters so much. Not only are they badass women, but they support other badass women. Give me female friendships, and I will undoubtedly love your book. Do you also love Clary and/or Alina? If you hate them, don’t leave a comment about it! I don’t want to know why you think I should also hate them. It’s not going to work. Plenty have tried to convince me that Clary is boring or that Alina is whiny, and you know what, byyyyyye. They’ve got a special place in my heart. But are there any other characters that you love that everyone else seems to hate? Let me know in the comments below! Maybe we both share an unpopular love. “SUPPORTS OTHER WOMEN” This is everything. Thanks for feeding my soul. FOR REAL THOUGH. A guaranteed way to make me like any female character is if they support other female characters. I love this post, I agree with everything you said. These two characters are realistic portrayals of (…brave) teenage girls who are facing terrible circumstances. 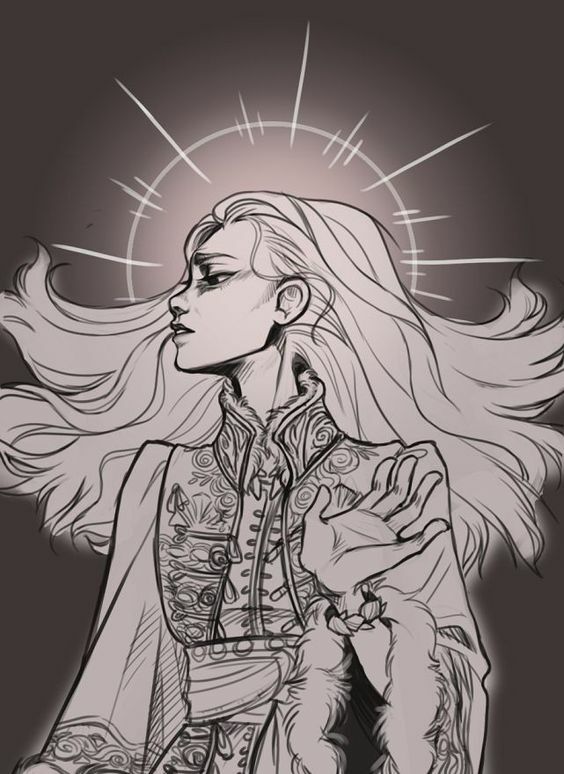 I feel strongly about the fact that Alina isn’t actually whiny, because who wouldn’t complain after being uprooted from everything they knew in their life and thrust in a place whose rules they don’t really know while also dealing with what read like a magical illness? 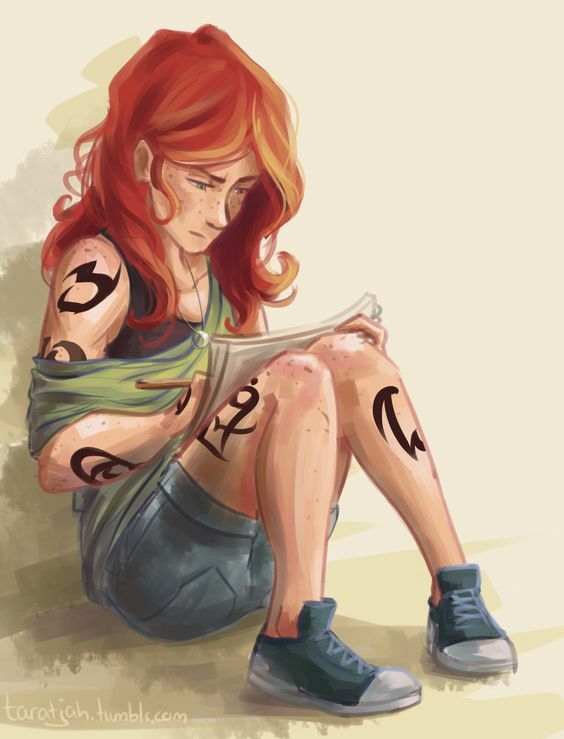 Both her and Clary are unfairly hated. RIGHT?! Alina has every right to complain, and I’d like to see anyone who thinks she’s whiny react differently in her situation. They really are! Glad to find a fellow Clary & Alina lover!